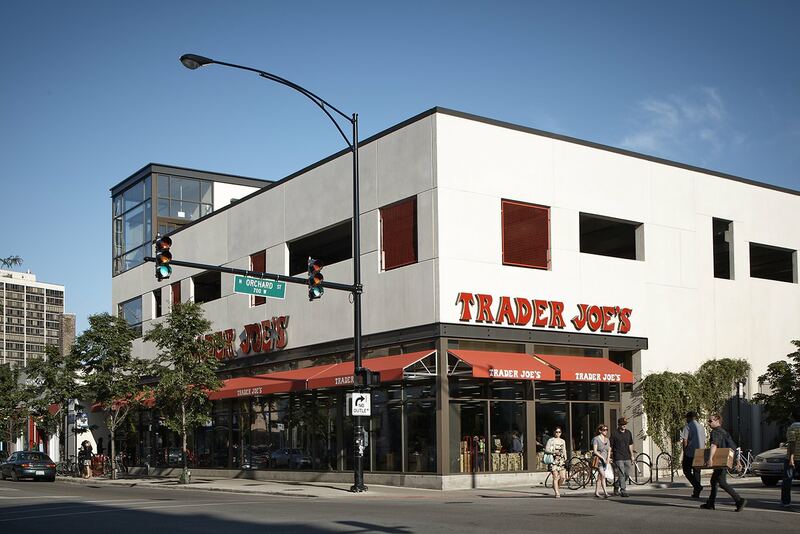 The architectural design for this urbanTrader Joe’s retail store takes advantage of its location along a well trafficked retail street in Chicago’s Lakeview neighborhood. Expansive bands of glass yield views of merchandise displays, and eye-catching canopies and signage draw passersby into the retail shopping experience. 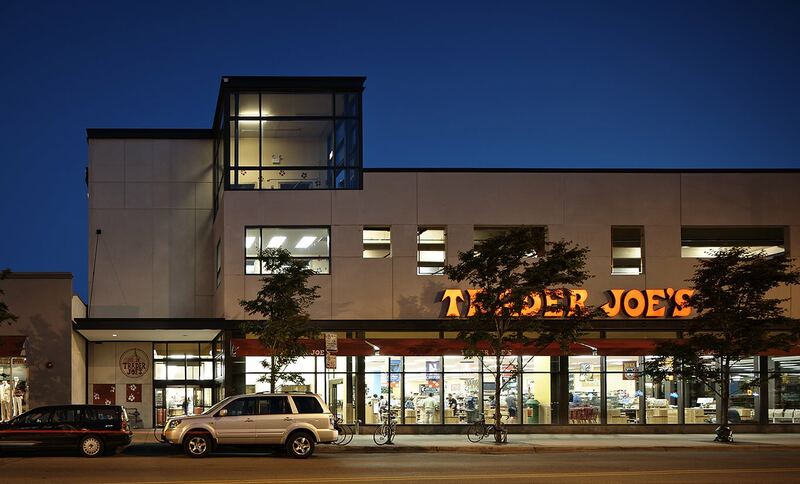 The single-purpose building is considerably larger than the neighboring storefronts. To visually reduce the scale, the upper facade is interrupted by the artful placement of varying sizes of geometric cut-outs. 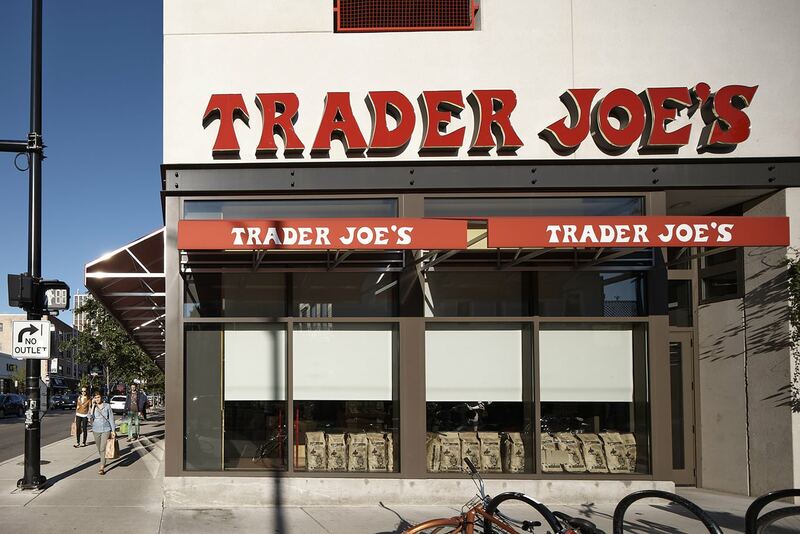 The design conceals a two-story parking structure above the 14,000 SF retail buildout. 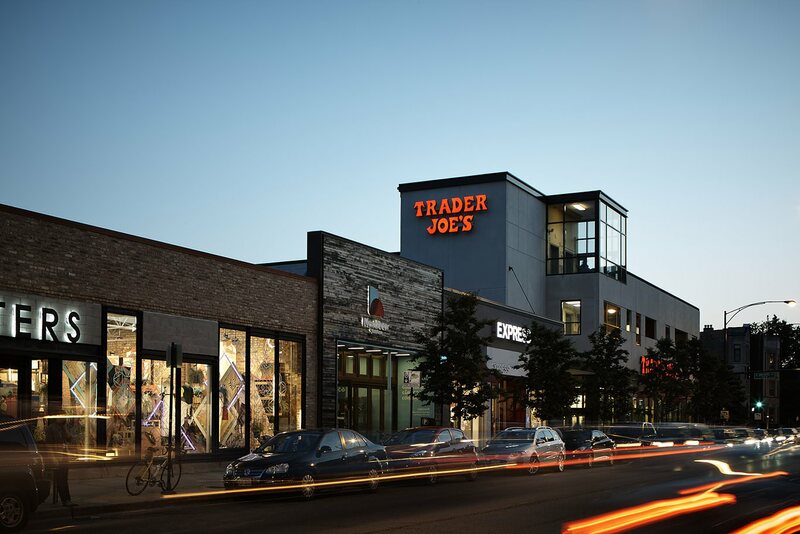 The result is a contextual yet modern shopping experience that sets a new tone in urban storefront design.